Keeping your roof in good repair is essential to ensure the protection of your home and family from the elements. We recommend that you have your home’s roof inspected at least every three to five years by the professional Montgomery County roofers of Winfield Builders. After years of being exposed to the weather, a Montgomery County roofing system can start to wear and break down, causing leaks and eventual structural damage to your home. The professional Montgomery County roofers of Winfield Builders can provide a comprehensive roof inspection to determine the condition of your roof and make recommendations for repair that will prevent damage. Here are just a few of the things we look for when inspecting a roof. Don’t let a worn or damaged roof permit damage to your home. 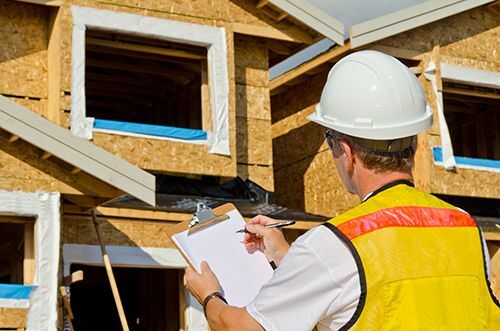 Call Winfield Builders to schedule a thorough, professional inspection of your Montgomery County roofing system to help head off disaster and expensive repairs. If your roof has been damaged in a storm, call Winfield Builders right away for a storm damage inspection that could prevent a minor problem from becoming a major expense. We also assist with insurance claims. For more information, visit our Storm Damage & Insurance Claims page. Trust the repair and restoration of your roof to the professionals at Winfield Builders. Call (301) 370-7925 to schedule a Montgomery County roof inspection today or complete our online quote request form.